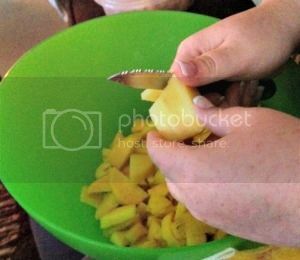 First, take your peaches and pit and chop them into small pieces. 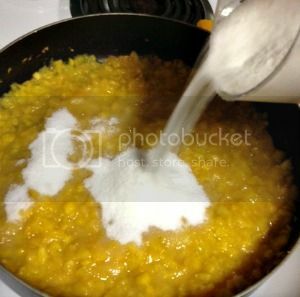 Then, add in your sugar and stir. 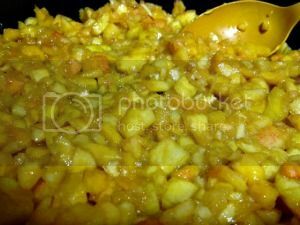 Slowly stir in your pectin and boil for about 1 min. 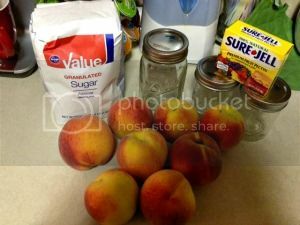 Remove peaches from heat after 1 minute, and transfer to sterilized jars. 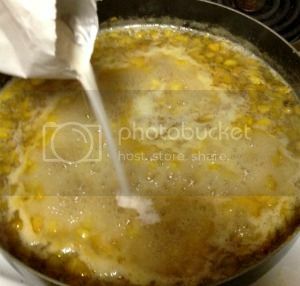 Process in hot water bath for 10 minutes. 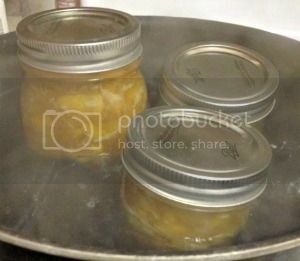 (I just used a pot of hot water, but make sure you put a washcloth/towel in the pot so the mason jars do not crack from getting to hot) Let cool, and place on shelf.